Energy Petroleum Company is a wholesale DEF distributor in the United States. DEF is produced to an international standard (ISO 22241) and is American Petroleum Institute (API) certified. Diesel Exhaust Fluid (DEF) is one of the key elements of the Selective Catalytic Reduction (SCR) process used by most medium and heavy-duty engine builders to meet EPA regulations. 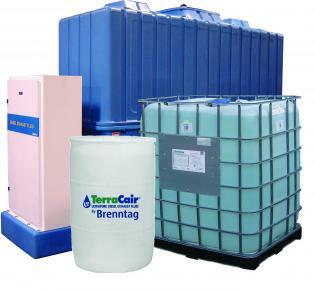 TerraCair is a nontoxic solution of purified water and ultra pure automotive grade urea. TerraCair is not a fuel or fuel additive but it helps improve fuel economy by up to five percent while simultaneously reducing exhaust emissions. TerraCair meets ISO Standards 22241 for purity and composition and is an American Petroleum Institute (API) certified DEF. Our closed liquid dispensing system provides everything you need to effectively dispense your TerraCair. These reusable systems are also cost effective by providing a significant savings over single-use containers and are available for fleet, retail and commercial applications. Diesel Exhaust Fluid (DEF) is a urea-based fluid specifically engineered to control NOx emissions from diesel engines. Energy Petroleum Company is a dedicated Missouri and Illinois supplier of TerraCair DEF supplied through Brenntag North America. As the USA prepares for the Environmental Protection Agency’s Tier II Bin 5 emission standards upgrade, Energy Petroleum Company and Brenntag North America are dedicated to meeting your supply needs. DEF is a key component of Selective Catalytic Reduction (SCR) systems which help diesel vehicles meet strict emission regulations. DEF is available with a variety of storage and dispensing methods. Storage options consist of various size containers such as; Bulk, Totes and Bottles or Jugs. TerraCair is guaranteed to meet the Standards of ISO 22241 and is API certified which ensures optimum performance of your Selective Catalytic Reduction (SCR) system. Diesel Exhaust Fluid is one of the key elements of the Selective Catalytic Reduction (SCR) process used by most medium and heavy-duty engine builders to meet EPA 2010 regulations. TerraCair is a nontoxic solution of 67.5% purified water and 32.5% ultra pure automotive grade urea. TerraCair is not a fuel or fuel additive. Instead, when injected into the exhaust stream and passed over a catalyst, TerraCair helps convert NOx into nitrogen gas and water vapor – two harmless and natural components of the air we breathe. 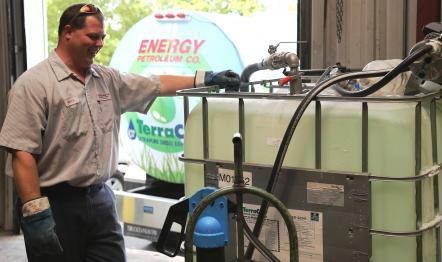 TerraCair is stable, colorless and odorless, and meets ISO Standards 22241 for purity and composition and is an American Petroleum Institute (API) certified diesel exhaust fluid. These are the highest quality and safety standards in place to ensure optimum SCR performance. Making sure you do not run out of TerraCair DEF in a SCR equipped truck is simple – watch the Diesel Exhaust Fluid (DEF) gauge, which is part of the diesel fuel gauge, for when it is time to refill. DEF provides the highest degree of practical NOx reduction in real life automotive conditions. Using DEF at a 32.5% solution in water is cost-effective. Also, it allows the engine to perform at the highest levels of efficiency and at the widest range of climatic temperatures – anything above 12 degrees Fahrenheit. DEF is defined by AUS-32 specifications and the specifications meet or exceed the DIN 70070 August 2005 quality standard, the DIN V 70071 June 2005 analytical standard and the ISO 22141-1 2006 standard. The American Petroleum Institute has developed a quality certification program that ensures North American supplies of DEF will meet these standards at the pump and across the nationwide supply chain, including standards of product manufacturing, handling, quality assurance, safety and environmental protection. What is the chemical process of producing urea and the energy balance of this process? The production of urea involves the raw materials of ammonia and carbon dioxide. Two principle reactions take place in the formation of urea. The first is an exothermic (heat releasing) reaction in which ammonia + carbon dioxide creates ammonium carbamate. The second reaction is an endothermic (absorbing energy within heat) reaction in which ammonium carbamate is converted into water + urea. The goal of an SCR system is to reduce levels of NOx (oxides of nitrogen emitted from engines) that are harmful to our health and the environment. SCR is an after treatment technology that treats exhaust gas downstream of the engine. Small quantities of DEF (automotive grade urea solution) are injected into the exhaust stream and when mixed with the NOx changes into harmless nitrogen and water. How will I know that the DEF product I purchase will work? The DEF you purchase should state and display the certification of the American Petroleum Institute (API), German Institute of Standardization DIN70700, the International Organization for Standardization ISO 22241-1, and meet AUS – 32 specifications. This will ensure the proper purity and concentration (32.5%) of urea. For more information on these specifications, visit www.iso.org. It is not recommended for customers to make DEF themselves. DEF has strict requirements for maintaining concentration and purity of ingredients that is critical to the proper functioning and longevity of the SCR system. Cummins and other OEMs require that DEF used with their SCR systems meet all ISO22241 specifications as well as API certification requirements. It is recommended that end users purchase certified DEF and avoid blending it themselves. For more information about the quality standards, refer to ISO22241 which details specifications for DEF quality, handling, testing, transportation storage, and refilling. API Certification is a voluntary program established by the American Petroleum Institute (API) which certifies and monitors that diesel exhaust fluid meets ISO specifications. The program was launched in March 2009. Is the 32.5% urea solution critical? Yes, The 32.5% urea concentration is the ideal solution as it provides the lowest freeze point. Also, SCR systems will be calibrated to the 32.5%, so that optimum NOx will be reduced during operation. Yes, DEF expands by approximately 7% when frozen. DEF packaging and tanks are designed to allow for expansion. During vehicle operation, SCR systems are designed to provide heating for the DEF tank and supply lines. If DEF freezes when the vehicle is shut down, start up and normal operation of the vehicle will not be inhibited. The SCR heating system is designed to quickly return the DEF to liquid form and the operation of the vehicle will not be impacted. The freezing and unthawing of DEF will not cause degradation of the product. Are there special storage requirements for DEF? DEF should be stored in a cool, dry, well-ventilated area, out of direct sunlight. While the optimum storage temperature is up to 77 deg F (25 deg C), temporary exposure to higher temperatures has little to no impact on the quality of DEF. The shelf life of DEF is a function of ambient storage temperature. DEF will degrade over time depending on temperature and exposure to sun light. Expectations for shelf life as defined by ISO Spec 22241-3 are the minimum expectations for shelf life when stored at constant temperatures. If stored between 10 and 90 deg F, shelf life will easily be one year. If the maximum temperature does not exceed approximately 75 deg F for an extended period of time, the shelf life will be two years. How can I determine when the DEF I have purchased was manufactured? All DEF packages will have a date code located somewhere on the product. The date code will allow you determine the date the DEF was made. 1 gallon containers will have a laser code imprinted on the bottle. 2.5 and 5 gallon containers have a small date code label applied to the bottle. Drum and totes will have a label applied to either the top or side of the product. The first digit of the date code represents the DEF batch number and the next 6 digits reflect the date that the batch was filled. What impact will exposure to high temperatures for an extended period of time have on DEF? While DEF exposure to constant, high storage temperature may have some impact on shelf life, this should not concern operators. Extensive testing in very hot climates has been conducted confirming that DEF stored at a constant temperature of 86 deg F had a shelf life of over 6 months. Should I be concerned about handling DEF? DEF is a nontoxic solution, and should pose no health threat. However, in the event you are exposed, and experience symptoms, a physician should be consulted as soon as possible. What are the guidelines to follow if DEF has been spilled? If DEF is spilled, it should be absorbed with absorbent material, such as sand. The absorbent should be transferred into a suitable container for disposal. In the event of a large spill, contact local authorities for proper disposal procedures. What happens if I DEF is ingested? If DEF is ingested, a physician should be consulted immediately. What happens if DEF is inhaled? If you inhale DEF, you should obtain medical attention if irritation to nose, throat of eyes occur. Does DEF have an odor? DEF has an odor similar to ammonia. Yes, DEF is corrosive to copper and brass. Will DEF evaporate and what happens if it does? Because DEF is comprised of 67.5% water, evaporation will occur over time. However, manufacturers have built and shipped over 50,000 SCR equipped engines. These SCR engines and systems are operating throughout Europe, including the warmer climates of Spain, Greece and even into the Middle East with no problems associated with evaporation. In addition, our field test vehicles across the US in high temperature locations have not yielded any significant amounts of evaporation that would impede engine performance or operation. As a preventative measure, it is important to keep the cap of the DEF tank and storage containers securely closed. If the urea concentration does become more or less than recommended over time, the DEF tank should be drained. Cummins Filtration will offer equipment to test the urea concentration of DEF. What prevents diesel from being pumped into the DEF tank? The nozzle for dispensing DEF was designed at 19mm, which is slightly narrower than the diesel fuel nozzle diameter which is 22mm. In addition, the tank cap for the DEF tank will be blue to further differentiation from the diesel tank. What happens if a non-DEF substance is accidentally entered into the DEF tank? The SCR system recognizes solutions outside DEF specifications, and the DEF indicator light will illuminate, warning the operator that there is an issue. If there is a contamination, the vehicle may require servicing. How much DEF will a truck consume? DEF consumption should be in the neighborhood of 2 to 3% of the diesel fuel consumption of the vehicle, which can vary, based on the vehicle and the operator. 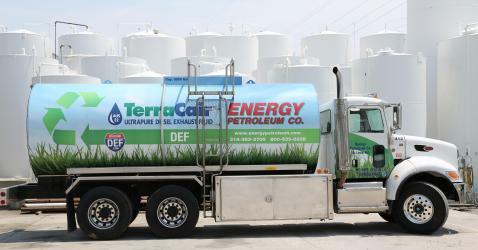 What is the number of miles a truck can expect to travel on one gallon of DEF? DEF consumption will vary based on the fuel consumption of the vehicle. 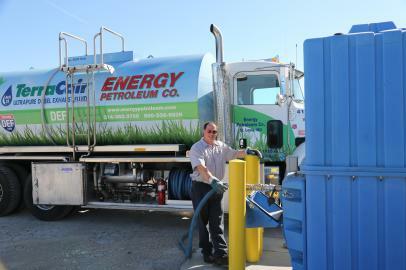 A truck which averages 6 MPG can expect to go approximately 300 miles on one gallon of DEF. How can an operator determine how much DEF they will need/use? DEF consumption will be approximately 2 to 3% of the diesel fuel consumed. Another way to consider it is that DEF will be consumed on a 50 to 1 ratio with diesel. (For every 50 gallons of diesel fuel burned, you will use 1 gallon of DEF). If you know the average fuel consumption of a vehicle, you can easily calculate the amount of DEF that will be used. Are all engine DEF dose rates the same? The DEF dose rate may vary slightly from one manufacturer to another. What happens if the vehicle runs out of DEF? The DEF gauge will warn the operator that the DEF level is low. Vehicle power may be reduced in order to encourage the operator to refill the DEF tank. The vehicle will resume normal power levels once the DEF tank has been refilled. What maintenance is required on the DEF Dosing Unit Filter? The DEF Dosing Unit Filter will need to be replaced about every 200k miles as part of routine maintenance. On SCR equipped vehicles, what changes will be expected for lube filter service intervals? There will be no changes to the lube filter service intervals on SCR equipped vehicles. The SCR process impacts the exhaust emissions after they are produced by the engine. What kind of DEF packaging is available? It is not recommended that customers fill their own bottles of DEF for use in SCR systems due to the strict ISO requirements for maintaining DEF purity (free of contamination). For customers that do require filling, the ISO 22241 specifications provide detailed information regarding DEF quality, handling, testing, transportation storage, and refilling. 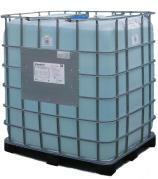 IBC stands for Intermediate Bulk Containers. It includes all containers larger than a 55 gallon (207L) drums, as well as containers smaller than a tanker. Where is DEF be available? Contact the Energy Petroleum team to learn more about DEF. How can I place an order for DEF? Contact one of Energy Petroleum’s sales representatives to place an order for DEF.